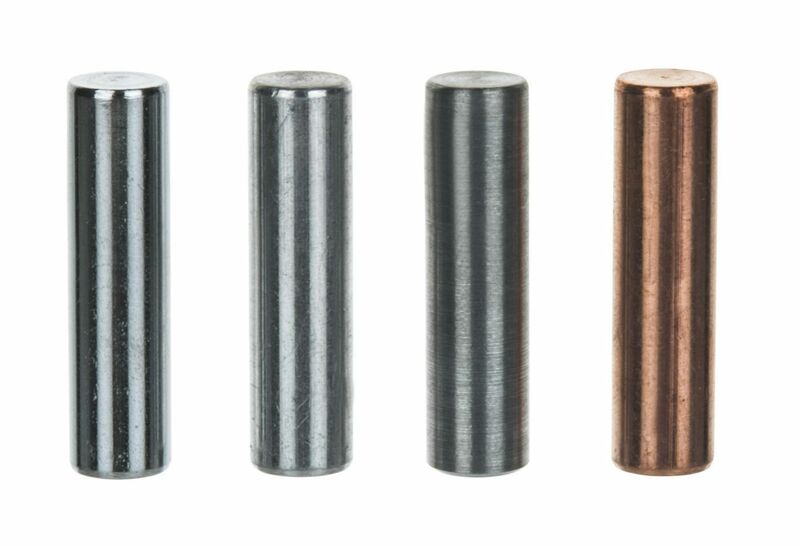 Four different metal cylinders each measuring 38 mm long x 10 mm in diameter. 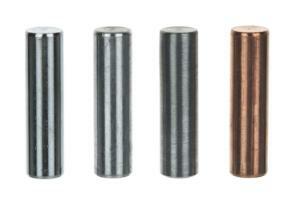 Four different metal cylinders each measuring 38 mm long x 10 mm in diameter, made of aluminum, zinc, copper and steel. Comes with hook holes and removable hooks to be used in a variety of experiments.